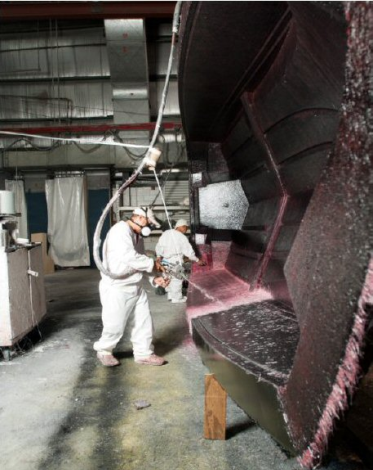 Regal Boats, an Orlando, Florida-based manufacturer of boats in the 19-52 ft range, trialled Owens Corning’s OptiSpray roving in its production process and found that it needed to use less resin. “The first thing we noticed was the speed of the glass wet out,” reports Pat Wiesner,” Regal Boats VP of Engineering. Owens Corning’s OptiSpray multi-end rovings are designed to provide optimal performance in spray-up processes. The products can be used in the production of swimming pools, boat hulls, transportation parts and other items. OptiSpray is made with Owens Corning’s patented Advantex glass fibre which combines the electrical and mechanical properties of traditional E-glass with the corrosion resistance of EC-R glass. It is said to provide optimum wetting for good surface finish and mechanical strength in the finished product. 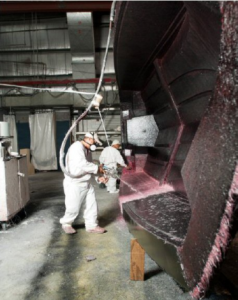 Owens Corning claims OptiSpray products can improve manufacturing efficiency with less down time and potentially lower resin consumption.